A unique yoga experience awaits you at the sulfur springs of Doi Saket in the Northern Thai jungle. Choose NOW and save 10% of course fees! Gaiatree - Gayatri two different names from different parts of the world with similar meaning. The Gaiatreeschool Foundation builds a bridge between EAST and WEST. 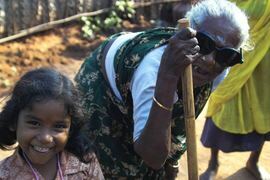 We invite all people regardless of their nationality, religion, race or caste to take part. The Gayatri Mantra knows every child in India. Regular repetitions strengthen the spiritual forces and eliminate mental impurities. 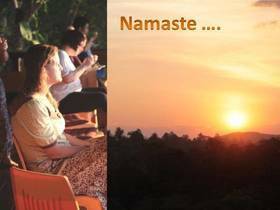 Gaiatree yoga & meditation retreats based on the roots of Hatha Yoga as Maharashi Patanjali in his Yoga Sutras, handed down as a condition in which the various emotions of the mind come to the unity of us. The Gaiatreeschool Foundation is committed to the promotion and dissemination of yoga and meditation in its various forms, its diversity and tradition. 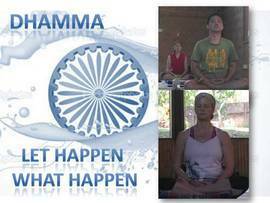 In India/ Thailand and Germany we offer various yoga retreats and camps. From summer 2015 onward we start a unique 28- Day Yoga-Meditation-Retreat & TTC in Leh /Ladakh India and Thailand- Banbourtong . In 2017 also in our Center Gaiatree Yoga Birkenhof Germany- Birkenhof .